There have been promising developments that may stimulate the adoption of Fibre to the Premises (FTTP). Openreach has recently announced significant price decreases in its FTTP on Demand product from February 2018, which (with the help of a forthcoming nationwide gigabit voucher scheme) may fuel adoption of FTTP. 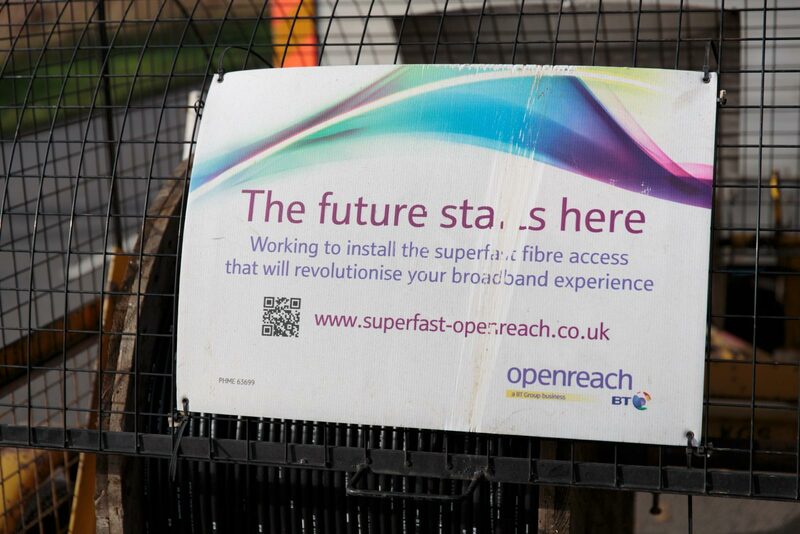 This is a promising development and may mark the turning point in the fortunes of true fibre to the premises in the UK. significant upfront installation fees (related to the distance between the fibre connection - near the fibre street cabinet - and the premises). a major change in how upfront installation fees are charged (although very little information is currently provided on this). Signing up to a three-year contract is quite a commitment for many small businesses, so a dramatic reduction in the contract period to just 12 months is very welcome. This provides the opportunity for businesses and consumers to subscribe to FTTP services without having to commit to a very long, and expensive, contract. Openreach has announced a significant reduction in annual rental costs - essential reversing the damaging price increases in 2014. For its 330Mbps download/30 Mbps upload FTTP on Demand service, Openreach currently charges an annual rental of £1188 (excluding VAT). From February 2018, this annual rental will be decreased by 62% to £456 (excluding VAT). As discussed below, this should mean that ISPs will be able to charge significantly less than £100 per month (inclusive of VAT) rather than the £200 per month they charge now. Currently, Openreach charges a significant upfront fee for the installation of FTTP on Demand, which encompasses a fixed connection charge and a so-called distance-based charge (which increases with the distance between the fibre connection point near the street cabinet and the premises). From February 2018, the fixed connection charge will be decreased from £750 (excluding VAT) currently to £92 (excluding VAT) for a 330 Mbps download/30 Mbps upload service. Furthermore, the distance-based charge is being replaced by a build charge. Openreach will provide estimates of build charges on a case-by-case basis. Reflecting lower installation costs for fibre installations today, we believe that these charges will be lower than current distance-based charges although the size of the reductions remains to be seen. There will be the opportunity for businesses and households to 'club together' to reduce their build charges and, as discussed below, voucher schemes may also be able to cover upfront installation charges. From February 2018, Openreach is also introducing a broader range of FTTP on Demand services, with pricing dependent on download and upload speeds, as shown in Table 1. The Openreach prices shown above are those paid by ISPs and do not represent the prices that end customers have to pay, since providers have additional costs to provide service. However, substantial price declines from Openreach will, obviously, help to lower prices paid by end customers. Currently, FTTP on Demand services are offered by very few providers but the new pricing could change this as providers will potentially be able to offer monthly subscriptions well below £100 per month (inclusive of VAT). One provider of FTTP on Demand is Cerberus Networks, which currently charges £165 per month excluding VAT (£198 per month inclusive of VAT) for FTTP on Demand. FTTP on Demand for 330Mbps download/30Mbps upload speeds may be available for a monthly price of about £90 inclusive of VAT. We will report on real prices when they are eventually announced. Increased competition could enable prices to be reduced to below this level. "While completing the rollout of today’s technology is important, we are determined to be on the front foot with the technology of tomorrow too. That means full fibre. We cannot stress enough that full fibre is the future. For we are in the very early days. UK full fibre coverage is just 3%. This will not stand. We will strain every sinew to get it rolled out in Britain." 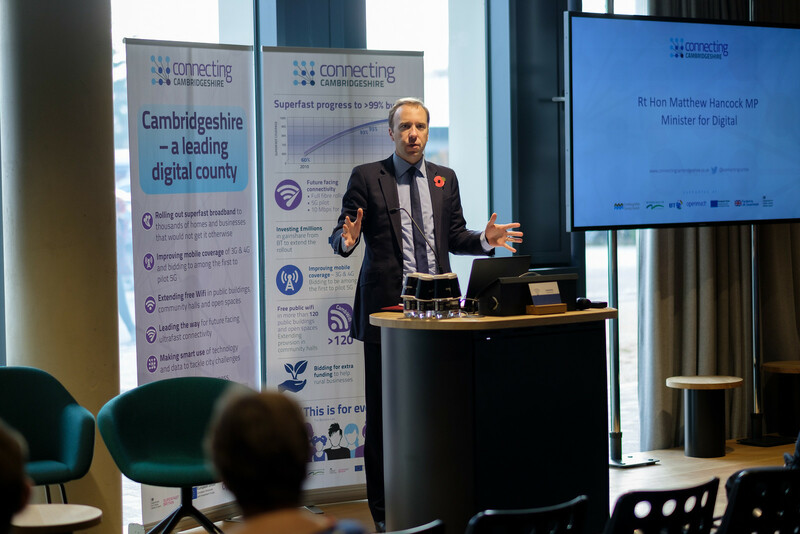 Matt Hancock repeated this commitment at an event this month held in Cambridge for Connecting Cambridgeshire, which I attended. With proper awareness building by the Government and local authorities, there could be strong demand for vouchers to help install FTTP on Demand connections now that ongoing subscription costs from February 2018 will be relatively affordable for small businesses. We will report on FTTP on Demand prices early next year. Latest Pricing Positions FTTP as a Niche Product | What is Fibre Broadband?